Many people have a problem waking up on time in the morning. You may use an alarm clock and still find yourself sleeping in as you sleep right through it. The Wake Alarm Clock app makes it possible to wake up on time but in a way that isn't jarring or unpleasant. You can use this app on your iPod touch, iPad, and iPhone and discover all the user-friendly features and tools that help you start your day off right. Have you ever woken up late only to find yourself in a panic and basically set off a whole list of negative things that occur in your day? It's amazing that the very start of your day can often determine how the entire day will be. So why not get off to a good start, one that is more relaxed, and more pleasant in general. This app can be used to wake up for work, school, appointments, or to just start your day off at a time you want. The app gives you three very simple ways to turn off the alarm which are shaking it from one side to the other, sliding to unlock your device, or turning your device upside down. The app has recently had a number of updates, fixes, and enhancements resulting in a much better user experience. There is now a Shakeometer with three different levels of shaking, a battery level indicator, the no sound option, and plenty more. It has 4.5 out of five stars from users who love the ease-of-use and practicality of the app. 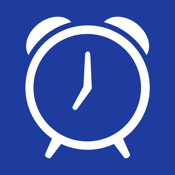 Wake Alarm Clock is free to use however there is an in-app purchase of $0.99. There are a number of features here including the fact you can just set a quick alarm. If you're in a hurry just tap on the big hours that your see in order to set your alarm time. Then slide from left to right in order to set it. If you're looking for more advanced functionality, use the alarm center where you can set up an alarm for a certain day, weekdays, or weekends. No matter which way you set the alarm, it’s very smooth. You have the option of choosing between nine different sounds to wake up to or your own music. The app can work as a nightstand clock, it displays the weather information for you, use it as a flashlight, and sync your settings to each of your mobile devices using iCloud. The Wake Alarm Clock app can be used on your iPod touch, iPad, and iPhone as a way to wake up in a pleasant and non-stressful way.